Belly Button Designs: Eye Popping Colour! 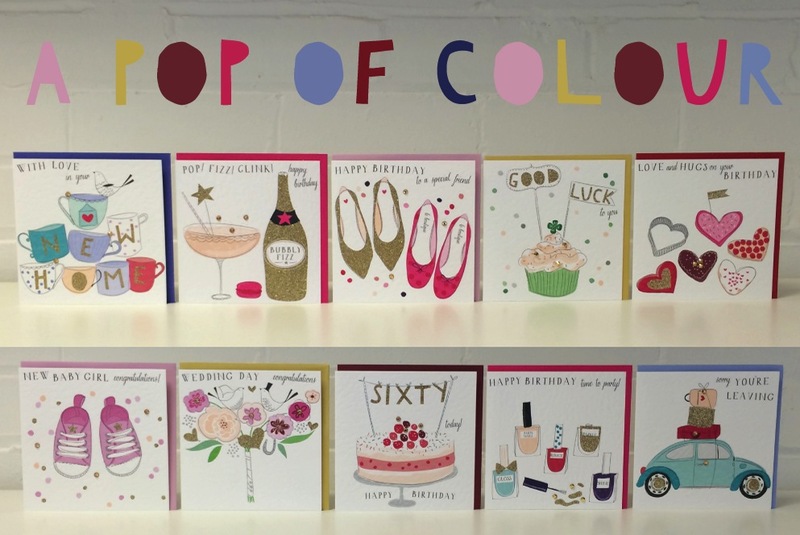 Be inspired by this colourful collection, with envelopes in bubblegum pink, fiery red and peacock blue. 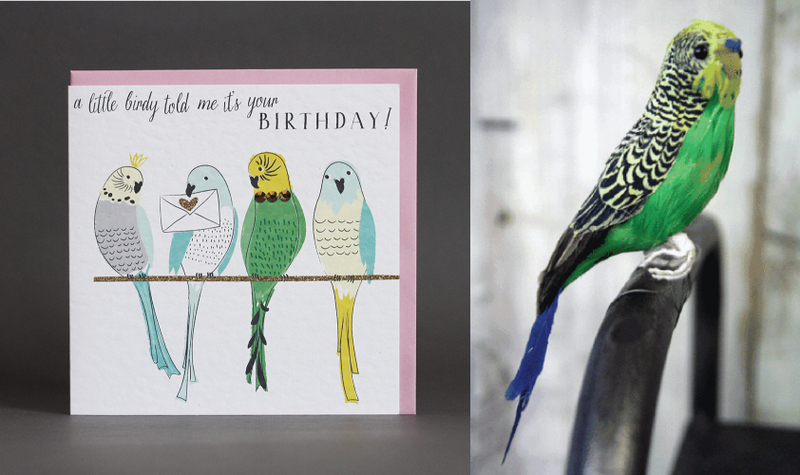 We've picked out some colourful finds and DIY's for you to try out! 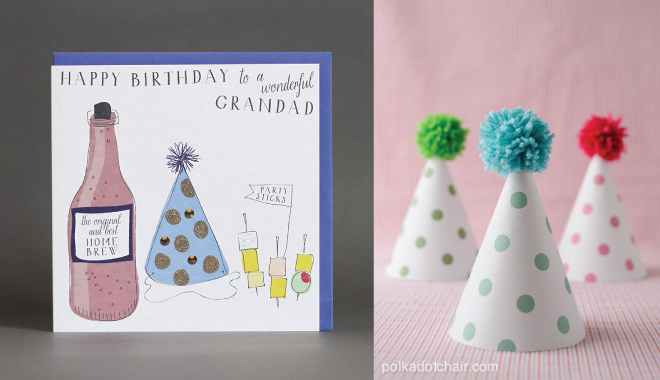 Make your own polka dot pom pom party hats with this tutorial from 'Polka Dot Chair'. 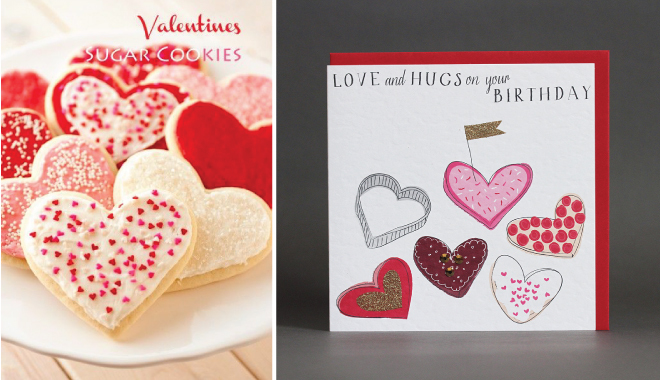 Bake something delicious looking with these heart shape cookies from the 'Glorious Treats' blog. We love this decorative budgie from Rockett st George, perfect for putting on a lamp stand, bed frame or even a decorative birdcage. 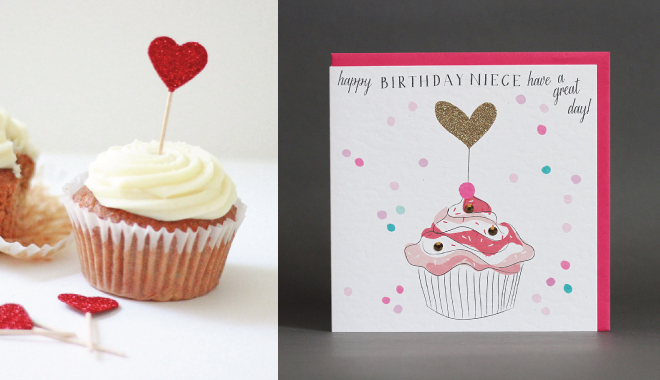 Beautiful glitter heart cupcake toppers, you could make your own or buy them from 'Michie May' on Etsy. 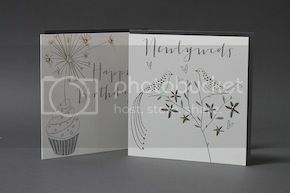 Top up your colour quota with our fabulous Creme Brulee cards. Check out your local Belly Button stockist!